This volume, which spans the long period from the sixteenth century through the Civil War era, is remarkable for the religious, racial, ethnic, and class diversity of the women it features. Essays on plantation mistresses, overseers' wives, nonslaveholding women from the upcountry, slave women, and free black women in antebellum Charleston are certain to challenge notions about the slave South and about the significance of women to the state's economy. 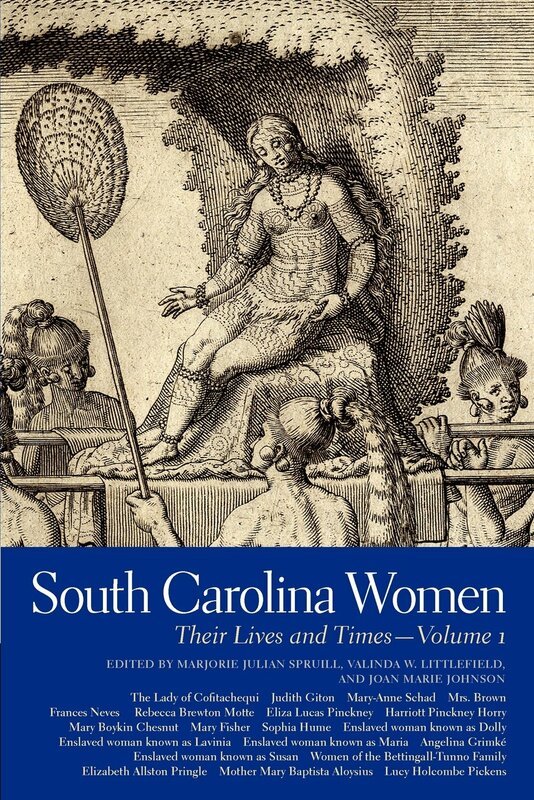 South Carolina's unusual history of religious tolerance is explored through the experiences of women of various faiths, and accounts of women from Europe, the West Indies, and other colonies reflect the diverse origins of the state's immigrants. The volume begins with a profile of the Lady of Cofitachequi, who sat at the head of an Indian chiefdom and led her people in encounters with Spanish explorers. The essays that follow look at well-known women such as Eliza Lucas Pinckney, who managed several indigo plantations; the abolitionist Angelina Grimke; and Civil War diarist Mary Boykin Chesnut. Also included, however, are essays on the much-less-documented lives of poor white farming women (the Neves family of Mush Creek), free African American women (Margaret Bettingall and her daughters), and slave women, the latter based on interviews and their own letters. The essays in volume 1 demonstrate that many women in this most conservative of states, with its strong emphasis on traditional gender roles, carved out far richer public lives than historians have often attributed to antebellum southern women. Spruill, Marjorie J., Valinda W. Littlefield, and Joan M. Johnson. South Carolina women : their lives and times. Athens: University of Georgia Press, 2009. Print.